I’ve been MIA for two weeks. I’m sorry for ignoring you, dear readers. Can I make it up to you with ice cream? 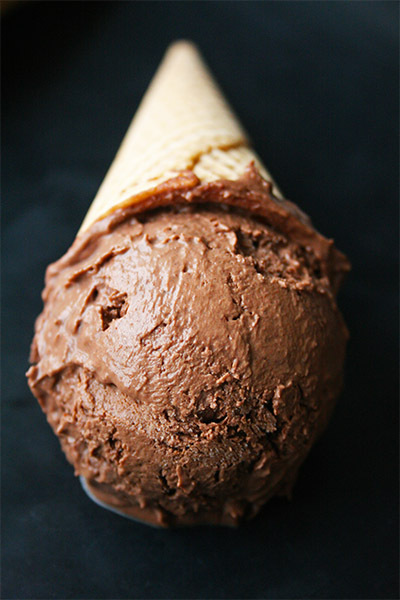 I’m guest posting with this delicious chocolate chili ice cream over at my friend Susan’s fabulous blog, The Girl In The Little Red Kitchen. This NYC chick is the real deal. She’s feisty, funny, incredibly smart and uber talented both in and out of her little red kitchen. Susan is currently on a cruise ship in the Bahamas with a zillion of her family members (okay, really only 17 but with that big of a number, it might as well be a zillion!). They’re celebrating her parent’s 50th wedding anniversary, which is an incredible milestone. I hope Susan isn’t being driven crazy by her family members and instead, is lounging by the pool, eating tons of amazing buffet food and washing it all down with copious amounts of alcohol. Ahhhhhh, that’s the life! Go check out the guest post here. While you’re at it, browse through Susan’s awesome blog but don’t do it on an empty stomach. She just participated in #IceCreamWeek, with a ton of droolworthy ice cream treats like *ohmahsweetgawd* caramel ice cream with peanut butter pretzel brittle. 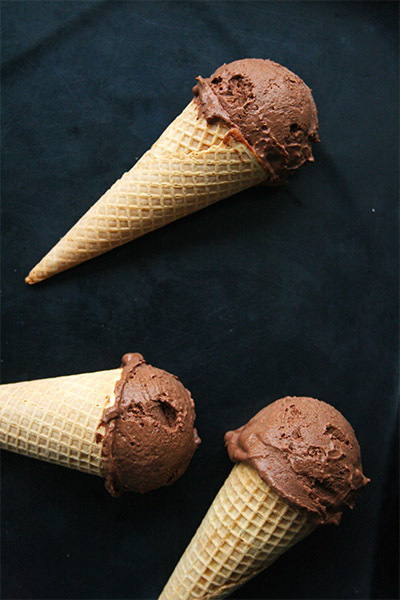 Hey chocolate lover, your photos are flawless! I was going to make chocolate chili ice cream but was afraid it might be too spicy and sadly, I can’t handle anything spicy. I’m such a whimp like that lol. A combination I’ve been meaning to make for months now. The pics are gorgeous Nancy! Love this recipe my friend. LOVE LOVE LOVE these gorgeous photos!!! OMG, the ice cream looks freaking fabulous! Heading to Susan’s blog now! what can I say?! This ice cream looks fabulous. The photos are AMAZING and I love the story about Abby on the field with all the other dogs. . sooo cute!! and hello?! How can you be a pig when you are so cute, pretty and skinny?! I must tell you again how pretty you and your sister are. . love all the wedding photos! see you soon. . woot woot!! Dude! I love chocolate and chili together- usually in a spiy hot chocolate, don’t think I’ve ever actually had it as ice cream! This sounds incredible, and the chocolate color in these photos is gorgeous! Ice cream makes up for everything 🙂 It looks creamy and delicious! Okay, your photography is looking FABULOUS. Excuse me while I drool over these for awhile…I just got back from a fabulous cone-a-day vacation and am in serious ice cream withdrawal. This looks amazing!! Wow, that looks insanely good!! Your photos are awesome too!! So glad to see you back!!! This ice cream looks insanely delicious! And I’m with Tara; your photos are gorgeous!! I love the chilli and chocolate combination! Awesome pictures too! Nancy, these are some KILLER photos. Especially that last one! OMG! Your photos seriously get better and better every week – these are amazing! And I love how creative this ice cream flavour is! 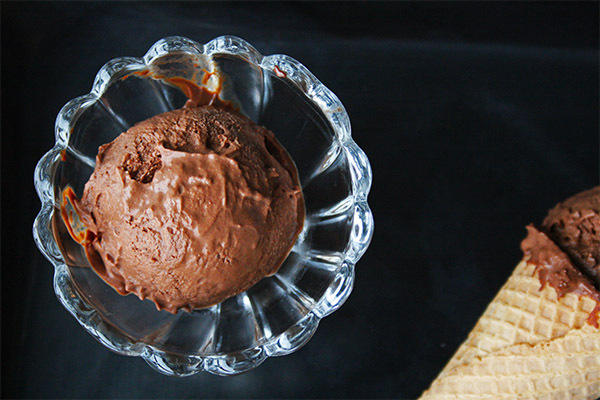 Ummmmm…Chocolate and chili ice cream?! Okay, I’m heading over Susan’s page to drool at this marvelous creation. I have missed your posts and I’m glad you’re back!